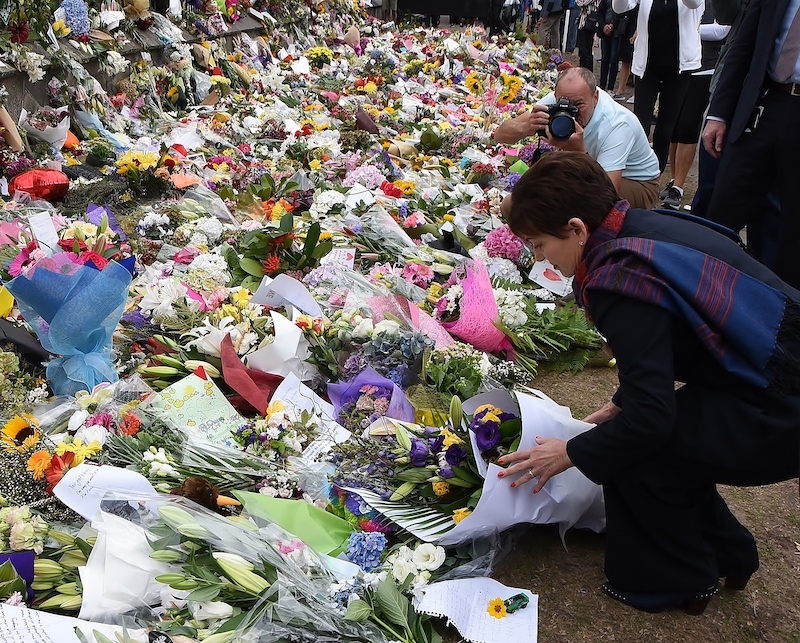 New Zealand’s governor-general Patsy Reddy laying flowers at the Christchurch botanical gardens after the massacre. Fascism, however, is back with a vengeance. The growing and lethal threat to life and limb for Muslims and Jews is now coming not from the far left but from an emboldened and violent far right. In the US, in 2018, every single one of the 50 extremist-related murders was linked to the far right, according to the Anti-Defamation League. In the UK, according to the Home Office, between 2017 and 2018 the number of white suspects arrested for terror offences outstripped those of any other ethnic group – the first time in more than a decade. In Germany, official figures suggest that nine out of 10 antisemitic crimes in 2017 were perpetrated by members of far-right or neo-Nazi groups. There is one important oversight in this article, however. The sort of white supremacism embraced by the Pittsburgh and Christchurch mass murderers is not the only kind. There are two broad categories: the ‘German’ category, which embraces the notion of an “Aryan race” which is natively European and which anathematises Jews, and the ‘English’ category which defines whiteness more or less by appearance and prizes European or Western culture and the command of a northern European language, preferably English, above anything else. These people will often talk of “Judeo-Christian values”, often in opposition to Islam; of the virtues of democracy as long as it produces governments they like (hence the support for dictators in countries like Egypt, which are conveniently used to portray them as less civilised than America, Europe or Israel); Jews are a fundamental part of the fabric of western civilisation. Although Muslims have been cast as the enemy since the end of the Cold War, and it is no longer acceptable to openly denigrate Black people, white society and its establishment makes no secret of the fact that it does not really accept them. Judaism and Islam have common features, such as religious slaughtering and male circumcision, which are the focus of some external disapproval and we support each other in keeping those legal. My belief is that if it were not for the presence of Jews in the UK, the first of these would not be legal and the second would be under serious threat; both have been either outlawed or threatened with a ban in parts of Europe, where the numbers of Jews is in many places much lower as a result of different waves of persecution and genocide (the Inquisition in Spain and Portugal; the Holocaust in northern Europe). The British Far Right, in the form of the British National Party and the National Front before it, going back to the Blackshirts of the 1930s, has been both anti-Semitic and hostile to immigrants although in the early 2000s, the BNP tried to play down its anti-Semitic heritage to court Jews with an Islamophobic programme (though without much success). The French National Front has also tried to bury its past anti-Semitism because anti-Arab and anti-Muslim hatred is more fashionable. Both have expelled their former leaders (John Tyndall and Jean-Marie Le Pen). However, both Britain and America both have ‘indigenous’ traditional forms of racist right-wing politics and white supremacism that shun anti-Semitism, promote Zionism and leave no need for Nazism even if there were a taste for it. Some of the worst racism I have seen expressed towards Muslims and Arabs has been on blogs frequented by Jewish Zionists and Neoconservatives, some of the language barely distinguishable from that used by Nazis (e.g. referring to Palestinians as sub-human, in some cases justifying it with single examples of Palestinian wrongdoing), advocating torture, using racially derogatory language including some of their own invention (e.g. Palestinians as ‘Palis’). In the past couple of years the political leaders which have shown characteristics of fascism have embraced hatred of Muslims and overt support for Israel: Trump, Bolsonaro, Modi (and politicians of both left and right boast of their relations with the last, conveniently overlooking that a pogrom against the Muslim minority took place on his watch when he was a state governor, and that while he has been prime minister of India, lynchings of Muslims have become a regular occurrence in many parts of the country). Many of us Muslims have a distinct sense that prejudice against Muslims and Jews are not considered morally equivalent, something expressed openly by Melanie Phillips on national TV a few months ago: that anti-Semitism was a “unique derangement” while Islamophobia was merely a cover for “legitimate criticism of the Muslim community”. Legitimate criticism of the Jewish community is, to her, a contradiction in terms. And even the political centre and centre-left indulges in it: look at how Dr Mohammad Abu Salha, who lost two of his children in a hate attack in 2015, was asked twice by members of the US Congress (both Democrats, both Black) to justify his religion and ‘prove’ that it does not incite hatred of Jews when testifying at a Congressional hearing into hate-based violence and white supremacism. So, let’s not pretend that Muslims and Jews face the same threat in present western society. Jews are accepted as part of the fabric of society and are present at all levels in politics and the media; Muslims are not. Hatred and contempt for Muslims is expressed by senior politicians and peddled in the media, both openly and in the form of bias and malicious stories; anti-Semitism is condemned most sanctimoniously, often from the same pages. The old anti-Semitic far right is fading in most places; it is being replaced by barely concealed, and in some places open, hostility to Muslims which identifies Israel as an ally and in which there are some prominent Jewish participants. There is more than one type of white supremacism and the type which is as hostile to Jews as it is to Muslims is one of the least significant, even if if is able to carry out atrocities from time to time. Another type is normalised, mainstream and in some parts of the world, in charge. Previous story Who decides what is ‘consent’?